william-james88 wrote: Exactly! Some fans seem to have the memory of a goldfish sometimes. I swear this comes up every year. We had that last year too with people not believing that Titans Return would end so early with only 1 deluxe in the final wave. But it did, and then we got POTP. Same thing will happen again. Additionally PotP is the first of the new shorter brands (1 year) as opposed to CW which was a full 18 months/6 waves, and TR which also was almost 18 months, and had its 6th wave sadly cut short (Yes I know all we ever saw was a Slugslinger, however I think the idea to start annual rebranding was quite a while ago, Hasbro just didn't make it public until last year. The majority of the fan community was positive we'd see more TR revealed at SDCC in 2017, instead they showed PotP...) . T30 was a full 2 years almost, and had what...8 or 9 waves? Having a 12 months cycle, shorter series, is going to take some getting used to, especially for some of us old fogies who don't like change . I wish he didn't have the same arms in both modes. Looks a little lazy. 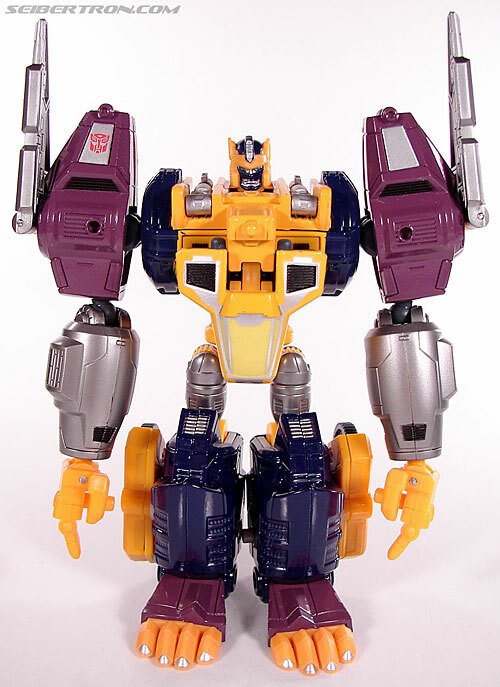 The original Optimal Optimus had some difference in the arms at least. I tried but I can't think of even one thing i like about that Optimal figure. The more I look at Primal, the less interested I am. 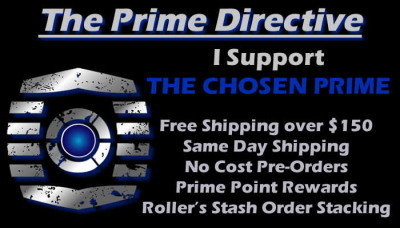 I think I’ll just get the original to satisfy my Optimal Optimus needs. Also he looks really cool to me. I mean in what I expected the line gimmick to offer, and how the toys ae being made now, It's pretty good option. At least its much better than the last time we got a new figure of that design. That one didn't even get a correct monkey mode. RiddlerJ wrote: I wish he didn't have the same arms in both modes. Looks a little lazy. 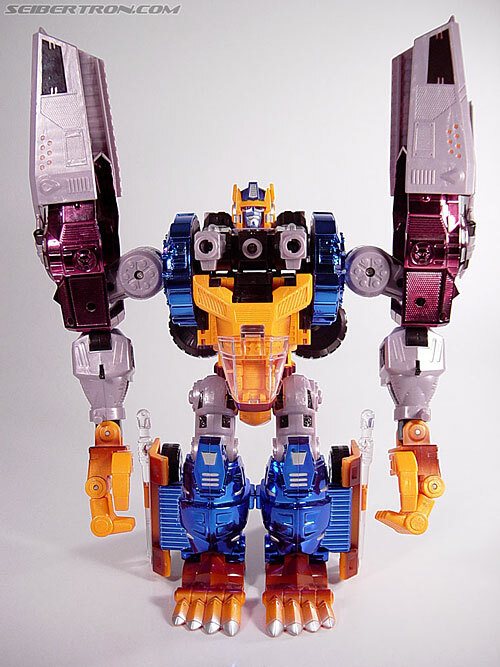 The original Optimal Optimus had some difference in the arms at least. Yes he did. You just rotated the elbows and flipped the thumbs. It’s the exact same gimmick In both toys. What are you on? Carnivius_Prime wrote: I tried but I can't think of even one thing i like about that Optimal figure. I've tried, but I can't think of even one thing I don't like about that Optimal Optimus figure. Seriously, I can't wait to have this guy in my collection. There was a difference actually, the panels that cover the forearms in the original version, came off and attached to the shoulders for Robot Mode. 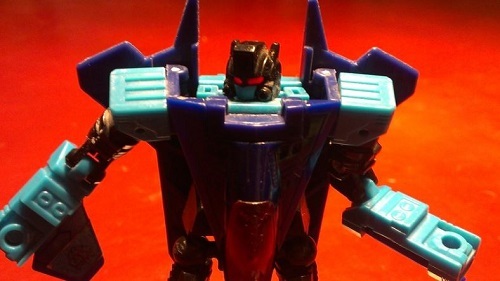 It looks like they might be able to do that in this new toy based on the peg holes in the shoulders. Sorry not sure how to get the image to view on it's own. Surround the url with img tags. There's an img button you can use at the top of the full reply box. *left a space there before the last bracket so it would not parse the tags and show the img. The arms do change from one mode to the next since the forearms guards in gorilla mode end up being repositioned as major shoulder pylons in robot mode. Thanks for the info, hopefully I'll remember it next time I want to post an image. Ok well enjoy. I just find it to be one of the ugliest Transformers figures I've ever seen (not this particular toy's fault but the original design). All the modes look hideous (that space ship mode is latter G1 levels of crud) and not helped by that awful colour scheme. Maybe it's just a Beast Wars fan thing of which I never was. Anyways that's just my opinion. Hope the figure does the job for you. Am I...am I not seeing it? The arms look the same to me. 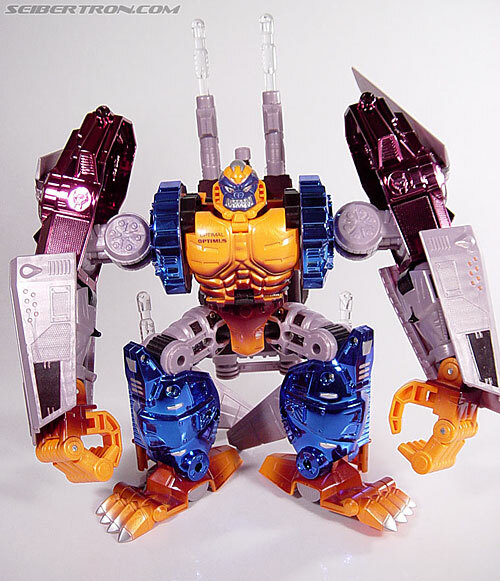 That's because the photographer didn't detach the panels from the arms and attach them to the shoulders like on the original toy. That's what I saying. POTP was found on shelves over a month before the expected release date. If they're going to hold firm with WFC, then there's going to be some time with no new product. I just figured they launch their other line to fill the gap. chuckdawg1999 wrote: That's what I saying. POTP was found on shelves over a month before the expected release date. If they're going to hold firm with WFC, then there's going to be some time with no new product. I just figured they launch their other line to fill the gap. There's supposed to be time with no new product, the way stuff has been released lately every other month with no time for a wave to saturate is insane! We're only supposed to have four waves in PotP and at this rate we'll have wave 3 in the US in May. Things need to slow down. I really do hope WfC wave 1 hits in January (it'll be December, but I can hope) to bring things back in line. Hasbro doesn't understand how to pace themselves. Look at Titans Return: In the second half of 2016 we got wave 1-3, but that only left waves 4 through 6 for all of 2017 (and some of us still only had wave 3 for most of the year). Hasbro's own release outline for PotP said wave 1 in December, wave 2 in April, and wave 3 in July (wave 4 probably September or October, they didn't put a date on it). This schedule makes sense, but the reality is moving way too fast. 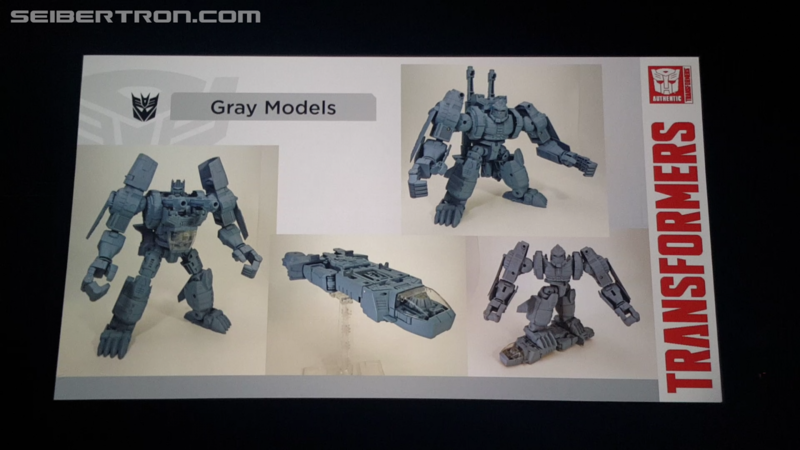 Doesn't really matter, Cyberverse is going to be a full, multi wave and probably multi year line replacing RID, not something you can wedge in between Generations waves. that optimal optimus is definitely high on my want list from what i can see so far. and i still don't understand why hasbro didn't just hire a fan to transform the thing for photograph. they didn't even bother to rotate both the shoulder on the same height! bacem wrote: that optimal optimus is definitely high on my want list from what i can see so far. Hasbro screwing up their photography should be more of a joke in the fanbase if you ask me. I just hope they do a Primal Prime repaint with proper clear bits. 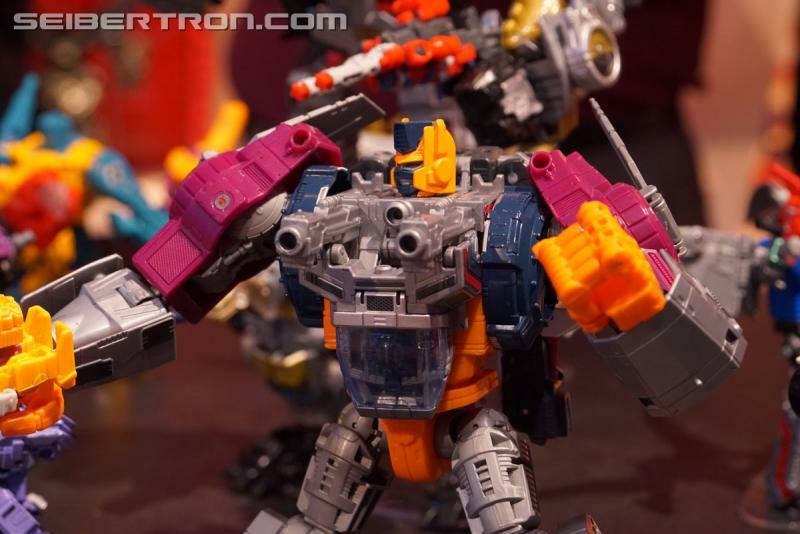 Apocdave wrote: I just hope they do a Primal Prime repaint with proper clear bits. As much as many of us would love a Primal Prime redeco, we very probably won't get one from Hasbro. Wave3 will be great with the rest of the Terrorcons, but it seems like wave2 is still slow to trickle to stores....I blame wave1 and the Studio Series. I really like the Studio Series, even though I'm not a Bayverse fan -- but I need my Generations figures.